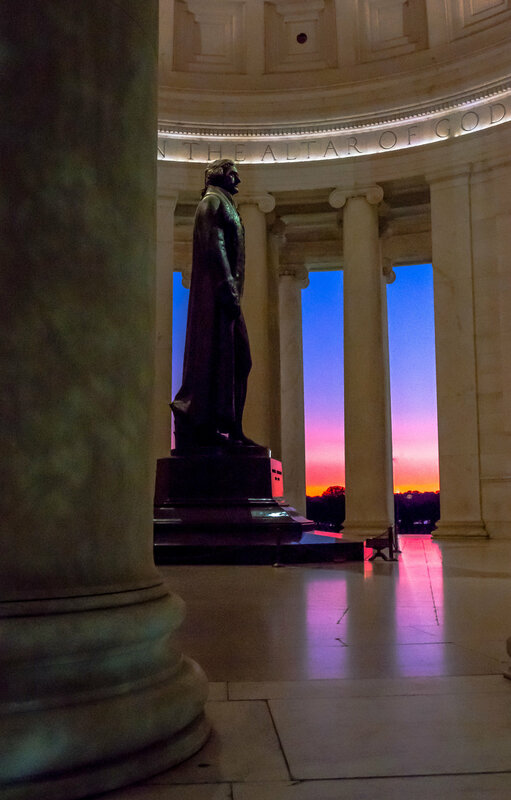 The statue of Thomas Jefferson at sunset at the Jefferson Memorial. I still find great joy in DC's monuments, history and setting. Walking around the Tidal Basin after dark was a rich experience and I plan to go back the next chance I get. The sights are just beautiful with the soft night lighting.